Linkedin most overused Buzzwords 2011 - Indians go from “DYNAMIC” to “EFFECTIVE”! Linkedin most overused Buzzwords 2011 – Indians go from “DYNAMIC” to “EFFECTIVE”! When ever you come across any resume or a LinkedIn profile or even a bio written by self – More often than not, you will find buzzwords, which have become kind of default. Infact, sometimes they are so overused, that they create an exact opposite impression of what the meaning stands. 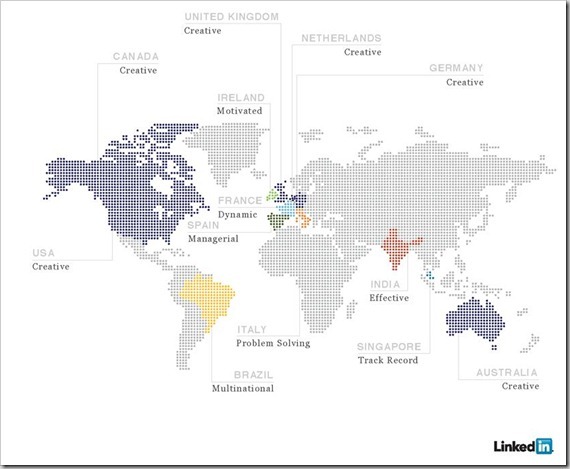 Linkedin yesterday released their survey on LinkedIn’s most overused Buzzwords across the world in 2011. The results were collated based on the words used in profiles of over 135 million LinkedIn users worldwide – India now has over 11 million LinkedIn users. If you take the words used in the profiles at face value, users in India are supposedly the most “effective”. LinkedIn releases this survey every year – In their 2010 study, Indian’s were mostly “Dynamic” which this year has converted into being “effective”. It is my personal opinion that when you use these kind of buzzwords, you are just trying to mask what you are exactly not! Airtel’s new innovative “Call me Back” SMS Service can be boon in tough times!